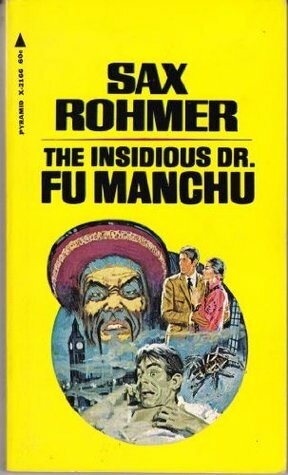 The Yellow Peril – symbolised by British author Sax Rohmer’s Chinese mastermind Fu Manchu, the self-described ‘Yellow Peril incarnate in one man’ (1913) – is possibly the most influential paradigm informing the image of China and East Asia in Western popular consciousness . This image depicts China as an implacable oriental opponent of the Western world, a uniform mass with little or no individuality and prone to extreme cruelty. While the perception of the China threat, such as fears over a full blown Sino-American trade war or fears over Chinese ‘student spies’, might appear to be a more recent development, it actually follows a path long trod in the European imperial imaginarium and perpetuated through American strategies in Asia during the 20th century . These same policies have played an important role in influencing and proliferating the Yellow Peril paradigm. Before the 19th century, the dominant image of China and East Asia in the Western mind was what Jonathan Spence in The Chan’s Great Continent (2000) termed as ‘mythical Cathay’, an image that was rooted in the writings and travels of Marco Polo and Matteo Rici. This presented China as an exotic object to be admired, with Voltaire in 1756 praising China’s ‘scholar gentry’ as an example for Europe, and Leibniz’s  admiration of Chinese philosophy . The shift away from this image came with the industrialisation of Europe and China’s inability to do so, as illustrated in Kenneth Pommeranz’s The Great Divergence (2000). As a result, China was increasingly perceived as a backward, despotic empire, an image that was more in keeping with the later images of the Yellow Peril . This development was epitomised by the Macartney embassy to the court of the Qianlong emperor in 1793, where a rising industrial Britain was faced with a Chinese empire that seemed to be frozen in time. Macartney labelled it an ‘old, crazy first-rate man o’war’ . While the embassy’s failure has often been interpreted as a missed opportunity, it also helped pave the way for the rise of the Yellow Peril in the Western mind. The shift to the images of the Yellow Peril coincided with the 19th-century conflicts between China and the European empires, most notably in the Opium Wars of 1839 and 1856 and the anti-Western Boxer Rebellion in 1899 . Rather than being an object of admiration, China was instead presented as an alien adversary that stood opposed to everything that the civilised West held dear. The image of oriental cruelty that arose amid the Opium Wars was furthered by lurid reports of attacks on Christian missionaries by the rampaging Boxers at the turn of the century. The Boxer Rebellion saw the Yellow Peril enter the popular 20th-century vernacular. The term itself is often attributed to Kaiser Wilhelm II. 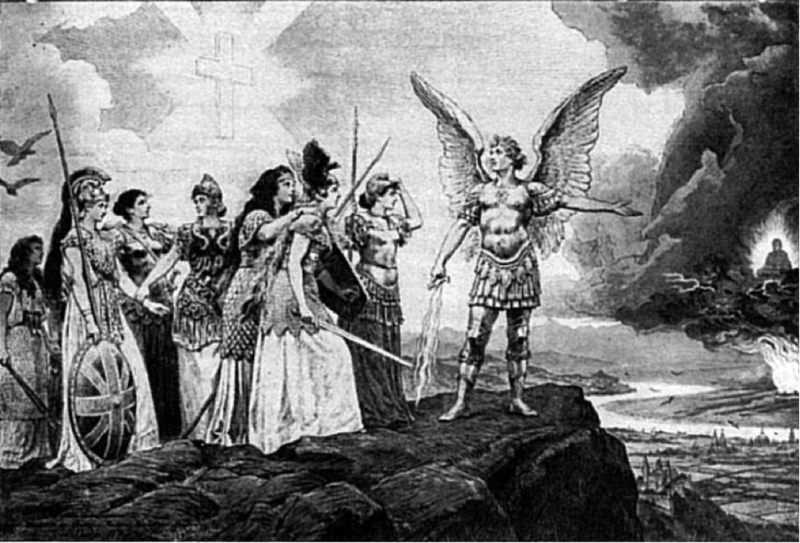 Wilhelm’s vision was inspired by Herman Knackfuss’s 1895 lithograph, ‘Peoples of Europe, Guard Your Most Sacred Possessions’ (pictured above), which depicted the European nations as warrior goddesses preparing to do battle with a dragon mounted Buddha symbolising China. This image of the Yellow Peril helped cultivate an imaginary enemy to justify European imperial policies that would continue into the 20th century . Japan’s modernisation during the Meiji Restoration of the late 19th century gave rise to a new element of the Yellow Peril image. Japan’s industrial development and modernization enabled it to become the dominant power in Asia, resulting in victories against the Qing dynasty in the First Sino-Japanese War in 1894 and later the Russian Empire during the Russo-Japanese War in 1905 . The latter conflict saw the gradual shift of the manifestation of the Yellow Peril from China to Japan. While the early images depicted Japan as a poor imitator of the European Great Powers, it also set the stage for the later images of the Japanese Empire, which would reach its zenith during the Second World War . The mid-century conflict in the Pacific would also see the return of many common themes of the Yellow Peril of the 19th century, with Japanese atrocities furthering the images of Oriental barbarism . This also depicted Japan as a nation in thrall to ‘God Emperor Medievalism’, which echoed earlier images of China as a backward, oriental despot. This period would see the shifting influences on the images of the Yellow Peril, moving away from European imperialism to American strategies in Asia, which would see yet another shift in the form of these images. As with the images of Japan during the Second World War, American strategies continued to influence the images of the Yellow Peril. This saw China revert back to its role as an enemy of the Western world with the victory of Mao’s communists against the American-backed Kuomintang in 1949 and China’s subsequent involvement in the Korean War in 1950. As a result, the old images of the Yellow Peril were now given a communist spin, with Mao being depicted as a Fu Manchu-esque mastermind and the faceless Yellow Hordes returning in the form of the ‘human wave’ tactics of the Korean War . 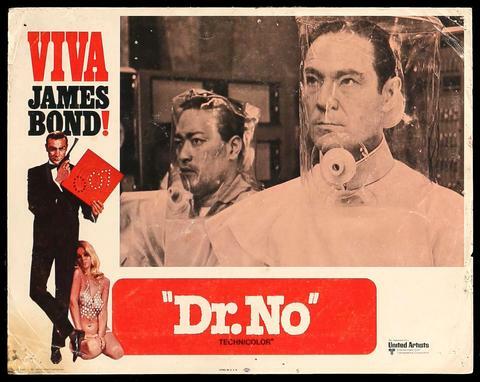 Such images were prevalent in Western popular culture, with Red Chinese antagonists playing notable roles in films such as Dr. No (1962) and the Manchurian Candidate (1962) as well as the adaptation of several of Rohmer’s works starring Christopher Lee. This illustrates the continuity of the Yellow Peril. Another source came in Japan’s post war boom which saw it become the world’s second largest economy by 1985. This came at a time of deindustrialisation in much of the Western world, leading to the perception that Japan’s gains came at the expense of the former industrial heartlands as well as the claim that Japanese practices were unfair . 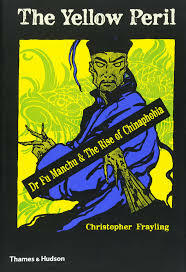 This, too, was expressed through the popular culture of the time, as in the Ron Howard comedy Gung Ho (1986) and Ridley’s Scott’s Black Rain (1989), followed by Michael Crichton’s lurid bestseller-turned-Hollywood-blockbuster Rising Sun (1992), which depicted nefarious Japanese yakuza and zaibatsu plotting against America as well as the trope of Asian sexuality (). Both this image and that of Red China were a creation of the political relationship between East Asia and the West, and in the case of corporate Japan, just as with the 19th century images of China, this created a phantom foe with the economic crisis of 1990 and the subsequent Lost Decade vanquishing the seemingly unstoppable Japan INC. In the present day, it would appear that China has again become synonymous with the Yellow Peril in Western eyes. Christopher Frayling has argued that the current fears over China’s rise, like Trump economic advisor Peter Navarro’s The Coming China Wars (2006), as being the latest phase of the phenomenon. This has also seen a degree of continuity with the depictions of China’s economic development echoing the rhetoric used to describe Japan in the 1980s . As with the previous images, this has been a creation of the political relationship between East and West with China’s ascendancy leading to fears over what China would do with its newfound power. Today’s biggest departure from earlier images of China as an irreconcilably alien other is that now the current images emphasise the similarities between China and the Great Powers of the past. Whether it be fears over Chinese neo-colonialism in Africa  or China as a power seeking to overthrow American hegemony, as depicted in Graham Allison’s Destined for War (2016)  which warns of a path towards a future Sino-American conflict in keeping with the rise of similar revisionist challengers such as Wilhelmine Germany. These recent images also suggest that China itself is attempting to control the discourse on this through its soft power initiatives. They are also indicative of China’s clout as illustrated by the 2012 remake of Red Dawn, where China was going to stand in for the Soviet invaders of the original film before being replaced by North Korea, a move that was attributed to fears over losing access to Chinese markets . This aspect symbolises both the continuity of the Yellow Peril and the changes it has undergone – the Yellow Peril no longer has the hegemony it once possessed. The Yellow Peril and its persistence has been a creation of the European-American imperial imagination beginning in the late 18th century in order to justify imperial policies towards China. And it continues to play a notable role in forming the mainstream images of China. In addition, it has been perpetuated through the geopolitical relationship between China and the West, with the current contentious phase of these relations exemplified by the Sino-American trade conflict. However, the fears that created these images have also changed in significant ways. 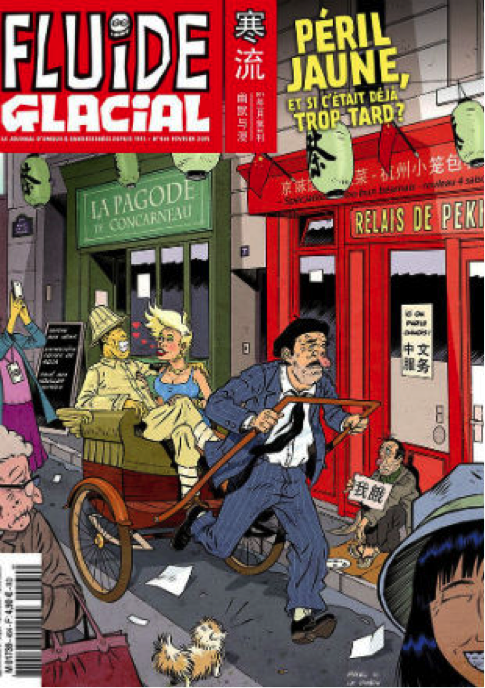 Most notably, instead of focusing on racial differences and stereotypes, the Yellow Peril today more often depicts a rising China like that of the European imperial powers of the past. Tom Harper is a doctoral student at the University of Surrey specialising in Chinese foreign policy. His current research focuses on China’s normative foreign policy in Africa. Tom Harper, China’s Neo-Imperialism in Africa, Perception or Reality?